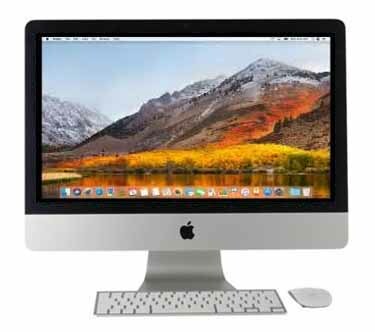 Backed by an Intel Core Duo T2400 1.83 GHz dual-core processor this Apple iMac is ready to power through workloads and applications! The 160 GB SATA hard drive provides plenty of storage for your data and multimedia files. Use the slot-loading SuperDrive to record and store data on CD media, install DVD software, and even watch your favorite DVD movies. We install SheepShaver allowing you access to programs that run under 9.0.4. We also install Roccat a modern updated web browser so you no longer get the you are not worthy to visit our web pages. Its slim form factor case feature a 17-inch widescreen TFT active matrix display with a 1440 x 900 resolution! Connect to the Internet via integrated 10/100/1000BASE-T Gigabit Ethernet LAN or enjoy wireless connectivity with 802.11g AirPort Extreme. Chat with friends and family over the Internet using the iSight camera! Includes a keyboard and mouse. Nicely refurbished and configured with OSX 10.6.8 Snow Leopard preinstalled. Uprade to 2 -1GB RAM for $30. Our SuperSink DVD chock full of Freeware and Shareware is included. Special $199.77 price includes domestic shipping. Limited quantities order now! Mac Companion External Hard Drive 1 Terabyte - NEW! Our price includes domestic shipping! HIGH SPEED! Brand new 7200 rpm 1 Terabyte Seagate mechanisms and they are in stock now! USB port (2.1 Amp) to charge/sync your iPad, iPod or iPhone device right on the side for easy access (must be plugged into computers usb port). Our Mac Companion external hard drives is a fast, but affordable high capacity storage solution. Styled to match the latest Mac computers; Stacks on the iMac base or Mac monitor; Preformatted for easy use right out of the box. They come with Firewire 800, as well as high-speed USB 2.0 ports for the widest possible range of compatibility. Multiple Connections - One USB 2.0 port, two FireWire 800 ports and a two port integrated USB 2.0 hub. lets you connect multiple devices. Included are the power supply, 1 Firewire 800 cable, one Firewire 400 to 800 cable, one USB 2.0 cable. REQUIRES: OSX 10.5.8 or later INTEL (comes Mac GUID HFS Extended formatted for INTEL Macs). This unit works on OSX 10.4 PPC but is not bootable, DOES NOT WORK IN 9 at all). Mojave tested, Firewire 400 or 800, or USB Port. Our SPECIAL $109.77 includes domestic shipping! Mac Companion External Hard Drive - 2 Terabyte - NEW!Our price includes domestic shipping! HIGH SPEED! Brand new 7200 rpm 2 Terabyte Seagate mechanisms and they are in stock now! USB port (2.1 Amp) to charge/sync your iPad, iPod or iPhone device right on the side for easy access (must be plugged into computers usb port). Our Mac Companion external hard drives is a fast, but affordable high capacity storage solution. 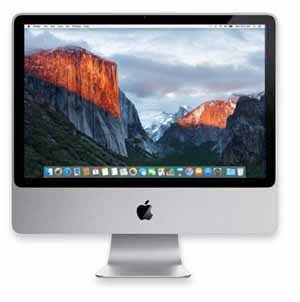 Styled to match the latest Mac computers; Stacks on the iMac base or Mac monitor; Preformatted for easy use right out of the box. 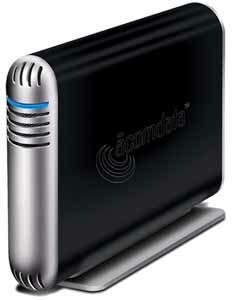 They come with Firewire 800, as well as high-speed USB 2.0 ports for the widest possible range of compatibility. Multiple Connections - One USB 2.0 port, two FireWire 800 ports and a two port integrated USB 2.0 hub. lets you connect multiple devices. Included are the power supply, 1 Firewire 800 cable, one Firewire 400 to 800 cable, one USB 2.0 cable. REQUIRES: OSX 10.5.8 or later INTEL (comes Mac GUID HFS Extended formatted for INTEL Macs. This unit works on OSX 10.4 PPC but is not bootable, DOES NOT WORK IN 9 at all). Mojave tested, Firewire 400 or 800, or USB Port. Our SPECIAL $139.77 includes domestic shipping! 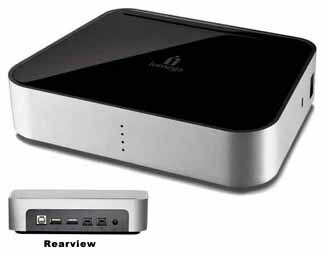 1 Terabyte Black Bullet Aluminum Firewire 400, USB2 Hard Drive, IN STOCK! HIGH SPEED! Brand new 7200 rpm 1 TB mechanisms and they are in stock now! Our Black Bullet Aluminum Drives feature an all aluminum housing with external power supply to keep the heat out of the housing. These units use a small thermal pad to dissipate drive heat via the housing. We build our external hard drives to be a fast, but affordable high capacity storage solution. They come with Firewire 400, as well as high-speed USB 2.0 ports for the widest possible range of compatibility. 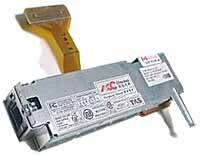 We install a new 1 Terabyte Seagate or Hitachi hard drive mechanism. Includes 2 Firewire 400 ports so you can daisy chain them. Includes the cables, USB 2.0 A-B cable, IEEE 1394 6p-6p cable. REQUIRES Mac OS8.6 or later, OSX compatible (comes Mac HFS Extended formatted for PPC, can be GUID formatted for INTEL on request) El Capitan tested, Windows 98SE/ME/2000/XP/Vista/7, Firewire 400, or USB Port. Our SPECIAL $129.77 includes domestic shipping! LIMITED QUANTITIES! 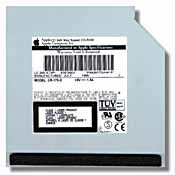 Apple 56K Internal Modem V.90 for the B&W G3 Power Macintosh, Yikes G4, (and iMacRev A-D 233-333) is an internal 56K V.90 modem is designed to be installed in the modem communications slot inside your computer, allowing you to save your PCI slots and USB ports for other resources! With features not found in any other modem this affordable, the Internal 56K comes complete with everything you need. Uses the built in software. 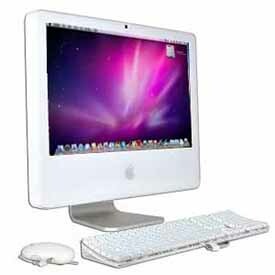 Note: For Blue & White G3, G4 "Yikes" model that is based off of the same logic board and iMac Rev A-D 233-333's. 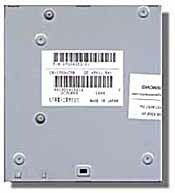 This V90 modem features up to 56,000 bps Data modem transmission speeds: Full duplex at 33,600 (V.34 annex 12), 28,800, 14,400, 9600, 4800, 2400, 1200 and 300 bps Error correction: V.42 (LAP-M), MNP2-4 Data compression: V.42bis, MNP5 Fax speeds: 14,400, 9600, 7200, 4800 and 2400 bps Fax standards: Group 3 compatible, V.17, V.29, V.27ter, EIA-578 service, Class 1 commands Upgradability: Flash ROM and flash DSP Requirements: Any Power Macintosh G3 with internal COM slot. System software version 8.5 or later Minimum 4MB RAM Minimum 8MB hard disk space. Standard analog phone line. We include our 9 Kitchen Sink CD (9.99 value) that has other telecom and fax software. Was $34.77 REDUCED SPECIAL $19.99 includes domestic shipping.